Technology adoption in the educational environment is a challenging endeavour, especially for the teacher at the front of the classroom. The demands placed on teachers continue to grow. 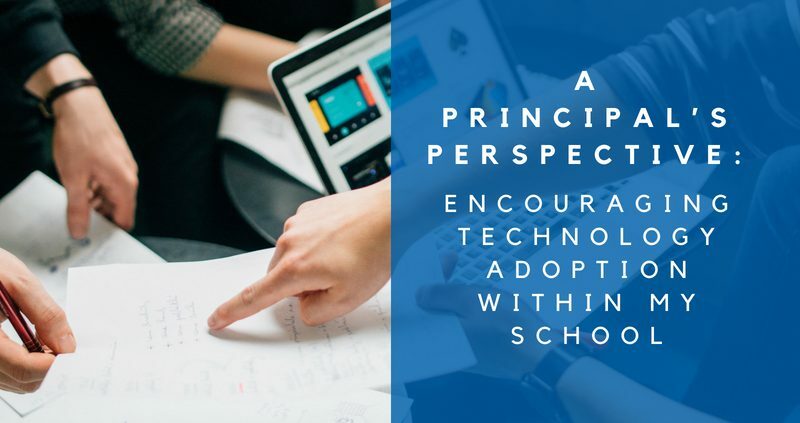 With each school offering a technology integration solution to the parent body and the variety of operating systems available make the choices even more difficult. The adoption of technology is a long and slow process if it is to be effective. I firmly believe that if we are going to expect teachers to use devices in the classroom environment, we need to supply them with personal devices so that they can experiment and discover applications that will work for them. The provision of devices allows teachers to experiment with the devices and applications before presenting in front of the students and builds confidence in the use of the application and device. The training of staff is another critical element in the adoption process. For training to be effective, the application of sound teaching methodology needs to be applied as would be done in a classroom. This implies that training must be differentiated, just as we find different abilities in the classroom so we find different strengths in the technology process. The big group practice only causes frustration for all staff at all ability levels, we are either waiting for a staff member or have a staff member feel they lack technical knowledge as they struggle to complete a task. Therefore, training needs to occur on a one to one basis for it to be most effective. The development of material can then be produced specific to the teachers learning area and the time spent on training is for an actual lesson rather than based on a general task. The best scenario is then to have the trainer join the staff member in the lesson to support the technology integration during the lesson with the learners. This allows, for the teacher to focus on the delivery and teaching of the content and the technologist to be available to support the delivery and teaching with the device of choice. Teaching can additionally be supported by an IT technician being available to support infrastructure and application issues if the technologist is not available. Another critical element is the establishment of clear objectives with regards delivery of lessons and the expectations for the teachers. 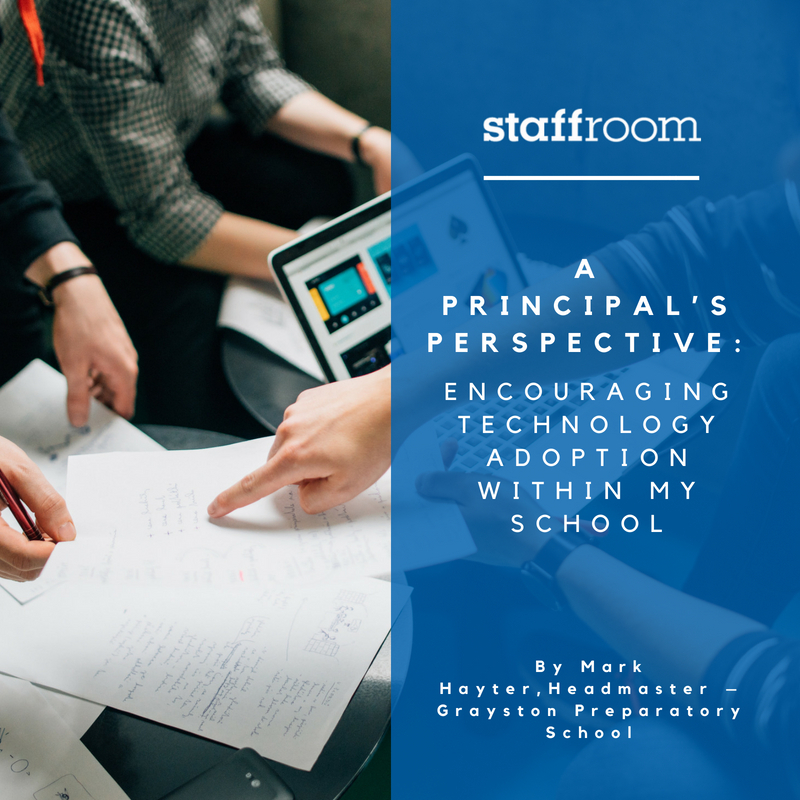 The development of a positive attitude to the integration of technology and the benefits of technology in the classroom must be clearly demonstrated during training. One of the most effective means of sharing is having teachers demonstrate their use of technology to other teachers in their learning area or phase within the school environment. This allows for other teachers to comment on the teaching and gives the teacher presenting the opportunity to reflect on their practice. “New technologies are changing not only what students should learn, but also what they can learn,” this means that as teachers and leaders in schools, we need to change our thinking with regard to the adoption of technology in the classroom. The Homework Fiasco To teach or not to teach with technology, that is the question.